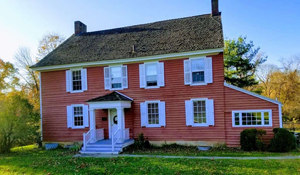 The Ewing Township Historic Preservation Society is helping to celebrate the 100th Anniversary of FVHD Architects-Planners with a presentation on one of the most significant buildings in the history of Ewing. Sunday, February 10th, 2019, at 2:00pm at the Ewing Museum at the Benjamin Temple House. Ellie Calcagno, a board member of the Preservation Society, will give a presentation about the General Motors Inland Fisher Guide Plant – Designed by FVHD Architects. There will be opening remarks and a brief presentation by Partners of FVHD. The Benjamin Temple House is located at 27 Federal City Road, Ewing, New Jersey 08638, and refreshments will be served.